At some point in the early ‘90s when I was a kid, really a little kid, growing up in London, I was given a world atlas by a kind family member. I remember spending hours flicking through it, mouthing the spiky foreign names and tracing the eccentric shapes of the world beyond southern England, the only part of it I really knew. I remember particularly enjoying Pyongyang and Montevideo, and developing an inexplicable (to my parents) fascination with Romania. So I remember very clearly the first time I was shown an actual map of Europe, I guess a year or two later. It was a shock. Yugoslavia and the USSR had split open all over the map, Czechoslovakia had bafflingly decided to snap its delightful name in two, new and confusingly titled states had suddenly sprouted across the edges of Europe and Central Asia. So my first feeling towards the Baltic states was a vague sense of hostility, but only really for tainting my enjoyment of this atlas with a sense that it was fundamentally incomplete. But the question of their identity was never one that seemed in doubt. These countries that had conspired to ruin my map were always grouped together as the Baltic states – and they did indeed, from afar, seem more or less of a piece: about the same size, stacked up neatly together along the eastern shore of the Baltic Sea. But it wasn’t long after I moved to Estonia’s capital, Tallinn, in the autumn of 2011 that I found out this was an assessment that many, if not most, of the locals would have disputed. Adam Garrie’s piece, which Deep Baltic’s friends at Estonian World kindly allowed us to reprint, is a sharp, pithy summary of these arguments. It seemed that Estonia, the cool, tech-savvy star student of the Baltic countries, might actually be more of a Nordic kind of country. While I was living in Tallinn, this case seemed entirely persuasive to me – and even now, I would only qualify it, not dismiss it – and I went about telling my friends and family that, despite living in a Soviet-era sleeping district and spending my days teaching ethnic Russians, I lived in a Nordic country. The argument does have a lot to be said for it: from Tallinn, at least, in and around which getting on for half of Estonia’s population live, Riga and Vilnius are a long drive into the hinterland, while Helsinki and Stockholm are just a ferry ride away. What’s more, unlike Latvian and Lithuanian, Estonian is not a Baltic language but Finno-Ugric, closely related to Finnish. The country is economically dynamic, strikingly creative and has made laudable progress on combating corruption and excessive bureaucracy, problems that still bedevil many countries that have made the transition from communism. Its press is rated as the 14th freest in the world – higher than Germany, the UK or the US. In short, Estonia is a smart, attractive country, one that seems almost uniquely well adjusted for the modern world – at times, especially when thinking about its e-residency programme, it almost seems like more than an app than a country. When we first put a link to the article on Deep Baltic’s Facebook site, I was interested to see the reaction of a (Latvian) friend: “What does ‘Nordic’ even mean?” he commented. This seemed like a silly question at first, but as I tried to come up with a simple, coherent answer, I was surprised by how tricky it was. Nordic can’t primarily be a linguistic or ethnic label, as otherwise non-Scandinavian, non-Indo-European Finland would hardly be a neat fit. If it’s a geographical term; well, it’s a little hard to satisfactorily explain why the lines have been drawn as they have – why Denmark and not Germany? Why Iceland and not Ireland? Why one Baltic state and not the others? The lack of clarity in the definition was demonstrated by the fact that a couple of years ago the Scottish National Party discussed applying to join the Nordic Council if Scotland became independent. All that it really seems to come down to really is that “Nordic” means a rich country where it’s cold for much of the year. There are certain other political conditions that are generally associated with the region – social liberalism, a strong welfare state – but as Estonian Prime Minister Taavi Rõivas himself tacitly acknowledged in a recent interview, Estonia’s case is rather less convincing when considered on these terms – “there must be social justice, but Estonia cannot afford to be a country that is like a welfare state from the 20th century”. But if you’re picking and choosing requirements, is claiming to be Nordic necessarily anything more than saying “we’re a successful, modern country – you can trust us with your investments?” This is not to say that Estonia can’t be considered Nordic, just to point out that the term is itself somewhat ambiguous. I certainly agree with Adam Garrie that “Eastern Europe” as it is generally used in the media is a pernicious and inaccurate concept that should be disposed of as swiftly as possible. It did have a certain use during the Cold War as a geopolitical and economic concept – a way of grouping together a variety of countries east of the Iron Curtain whose defining characteristic was their experiences of a Communist system. However, with every year that’s passed since the collapse of Communism it’s become less accurate and more derogatory, drawing false equivalencies between extremely different cultures. I’ve grown very sick of the “well, I’ve been to Bratislava, so I have the basic idea” kind of response when I’m talking about the Baltics. The assumption that Estonia (or Latvia or Lithuania, for that matter) must have more in common with, say, Bulgaria, a country with which virtually the only thing they share is an experience of communism, than with Finland is ahistorical and preposterous – not to mention unconsciously imperialist, limiting these countries’ modern identities to their placement in the Soviet Union’s old sphere of influence. What I am more sceptical about is the implication that “Baltic” is just as inaccurate and toxic a tag as “Eastern European”. It’s true that in the media of many countries – including, unfortunately, the UK – Baltic often has negative connotations, but there’s no inherent reason why this ignorance can’t be corrected. The Baltic states were very much the Nordics of the Soviet Union – comparatively efficient, boasting a higher standard of living, producers of high-quality, technologically advanced goods, desirable places to live and work. They’ve suffered in terms of their perception by their shift to the European context, but as knowledge of their qualities increases, I do believe that an understanding will grow that they are distinct and different from the countries to the south and east. I also often see a claim that the “Baltic countries” tag is a consequence only of the Soviet occupation, a context in which Estonia, Latvia and Lithuania appeared to have a lot in common – at least a lot more so than with, say, Turkmenistan. This is not true – as a term, the Baltic countries/states was in use pretty much immediately upon their independence in 1918 – although, at that time, it generally also included Finland, which also won its independence from the Russian Empire at the same time. In truth, Estonia’s links with Latvia (it has, admittedly, had a much more tenuous relationship with Lithuania) have been historically almost – if not equally important – as that with Finland. Indeed, for much of the previous few hundred years, there was no border at all – even an internal one – between southern Estonian and northern Latvia. These links between Estonia and Latvia have been brought home to me repeatedly over the last few weeks, until I felt like the universe (or at least this small part of it) was trying really hard to make a point. On a visit to the idyllic northern Latvian city of Cēsis (which, like most cities in Latvia, also has an Estonian exonym – Võnnu), I came across a commemorative obelisk, planted at the centre of the city. This commemorated, in both Latvian and Estonian, the victory of a combined army against German adventurer troops who had ambitions of keeping the whole region under the reign of the barons. A couple of days later, on Tērbatas iela in Riga (a street that is itself named for an old Latvian name for Tartu), I spotted a small, understated plaque commemorating the foundation of an Estonian student association on this street in 1900. Riga was, from the late 19th century, one of the real centres of Estonian culture, as peasants from rural Livonia flocked to the great industrial port; by the early 20th century there were close to 30,000 Estonians in Riga, a sizeable chunk of the city’s population. The father of modern Estonian poetry, Kristjan Jaak Peterson, was another of these Riga Estonians – he’s buried in Pokrov Cemetery, barely twenty minutes’ walk away. Conversely, Tartu (or Dorpat, as it was generally known then) was the incubator of the Latvian National Movement in the mid-19th century, with many important figures studying there – it was at that German-dominated institution that Krišjānis Valdemārs put a sign on his door declaring his Latvian origin, an action at the time not considered a whole lot less inexplicable than abruptly announcing “I am a yokel”. Estonian and Latvian history over the last few hundred years has, in its broad outlines, been almost identical – Swedish rule, Russian rule, independence, Soviet occupation, Nazi occupation, Soviet occupation again, independence again. The key events have happened at the same time in more or less the same way. Even the coups that overthrew democracy in both countries prior to World War II happened just two months apart – in March 1934 in Latvia, bringing Kārlis Ulmanis to power; and in May 1934 in Estonia, with Konstantin Päts becoming the nation’s authoritarian leader (Lithuania, again, differed somewhat, abandoning democracy eight years earlier). As we learn from a recent interview on Deep Baltic with Valts Ernštreits, an experienced translator between Estonian and Latvian, centuries of sharing the same land has left residues in both languages – plus, Latvia has its own Finno-Ugric minority: the Livonians. Adam Garrie makes a point which is often used to argue against grouping these countries together as Baltic, pointing out that there are quite a few countries which could be equally well described as Baltic, in that they have Baltic sea coasts – not only the Baltics and Nordics, but also Russia, Germany and Poland. This is true, but it does rather underrate the issue of size and scale: all of these other countries are big enough that they are not limited by their placement on the Baltic; they also belong to several other spheres. Poland is a big country and takes a big scoop out of Europe; it’s just as defined by its southern, Central European borders as it is by its chilly Baltic coast. Sweden is, I guess, a Baltic state, but then it also has an extensive border with Norway, as well as abutting onto the North Sea. In neither case is the Baltic their defining geographical feature – they’re inextricably involved in other regions. This is a big part of the reason that when I started Deep Baltic, I set our remit as I did (just Estonia, Latvia and Lithuania): because I felt that incorporating any of the neighbouring countries would inevitably swamp the Baltics – comparatively tiny in population, size and world profile. It’s hard for Estonia’s voice to be heard when it’s competing against Sweden; equally hard for coverage of Lithuania to be as in-depth and comprehensive as Poland. This shared characteristic of being small, obscure (to the rest of the world) and frequently threatened countries is something that’s often left out of the debate about terminology. It’s quite right and understandable that economically, Estonia should be focused primarily on Scandinavia – it’s a market vastly bigger and wealthier than the Baltic region, and offered the country an unsurpassed opportunity to develop and grow after escaping from the Soviet Union. However, it does remain striking that in matters of defence or cultural policy, Estonia’s position is considerably closer to its Baltic neighbours. This is understandable. Among the Nordic countries, Finland also has memories of struggle against Russia, of course; but these are necessarily a bit misty, and given that the country did extremely well – materially speaking – from a policy of scrupulous neutrality during the Cold War, it’s not surprising that there is always a powerful lobby urging compromise with Russia. This is not the case in Latvia or Lithuania. They get it – how could they not, after what they have been through? After the Bronze Soldier riots in Tallinn, 2,000 people demonstrated in favour of Estonia in Vilnius; and 1,000 in Riga. 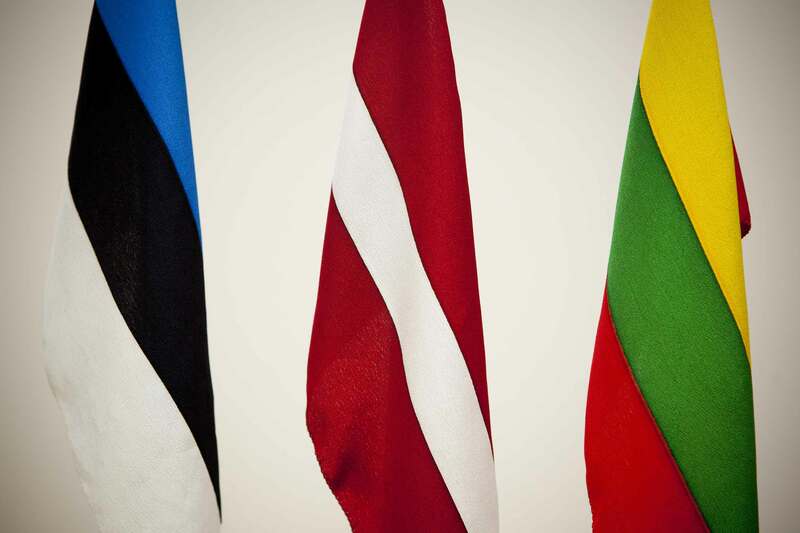 The Lithuanian Seimas passed a resolution unanimously supporting Estonia’s position; Helsinki, well, equivocated. This is not to take a position either way on that particular issue, just to observe that Estonia’s Baltic neighbours understand its geopolitical and social problems rather more intimately than its Nordic ones do. The same is the case with cultural and language policies: I think it’s a little difficult for any Scandinavians or Finns, aside perhaps from the paranoid lunatic-right, to truly comprehend the possibility of their native culture and language becoming peripheral and eventually extinct. Lithuania does, and Latvia certainly does (probably even more keenly than Estonia). These countries understand a part of Estonia that Scandinavia doesn’t and can’t, and have similar language and citizenship policies (Lithuania is partly the exception here). It’s similarly the case in issues such as urban development and renewal, which I’ve covered extensively – in my experience, it’s the Balts who are most able to comprehend the problems the Estonians face, because the standard of infrastructure and level of funding they are dealing with is broadly comparable. Scandinavian support and expertise is vital, but if there isn’t a deep understanding of the context in which they’re operating, it’s hard to funnel it in the correct way. Estonia’s bid for recognition as Nordic is equal parts an ingenious marketing strategy and an assertion of genuine historic links with Finland and the Scandinavian countries. But it’s hard not to spend a lot of time together with someone, even if they’re not related, even if you didn’t choose their company, without developing a kind of mutual understanding – and it would be sad if the ties forged with Latvia and Lithuania, brothers in recent and earlier adversity, were neglected. There’s no reason that Nordic and Baltic identities need to be mutually exclusive – as I hope I’ve been able to show, what they really mean is pretty undefined as it is. An excessive focus on identity can be restrictive and lead to intolerance, but at best it provides a way of understanding oneself and one’s own history – to me at least, it seems that it will be hard for Estonia to truly appreciate itself, what’s happened to it and what it has come out of, unless it understands the depths of its common experiences with Latvia and Lithuania. But there is a small error in the text: ” Even the coups that overthrew democracy in both countries prior to World War II happened just two months apart – in March 1934 in Latvia, bringing Kārlis Ulmanis to power; and in May 1934 in Estonia,” The months here are the other way around, since Ulmanis’ coup happened on May 15.